Inspired by community run schools founded throughout Black American history, The Black School: Harlem is an experimental art school that combines art making workshops with presentations and group discussions on radical Black political theory. During The LP residency, The Black School: Harlem will take up residence in existing Harlem-based high schools and youth organizations. Visiting artists will teach art making techniques such as creative writing, screen printing, collage, photography, and other forms of image making. Following study and discussion, students will then create collaborative site-specific projects that address community needs. Building on the principles of the Freedom Schools of the Civil Rights movement and The Black Panther Party’s Liberation Schools during the Black Power movement, The Black School will use a socially engaged proactive practice to educate Black/PoC students and allies on how to become radical agents of social and political change. Joseph Cuillier (1988, New Orleans, LA, US) is a Harlem based socially engaged artist, designer, and educator. He received a MFA in Graphic Design from Pratt Institute in 2013. 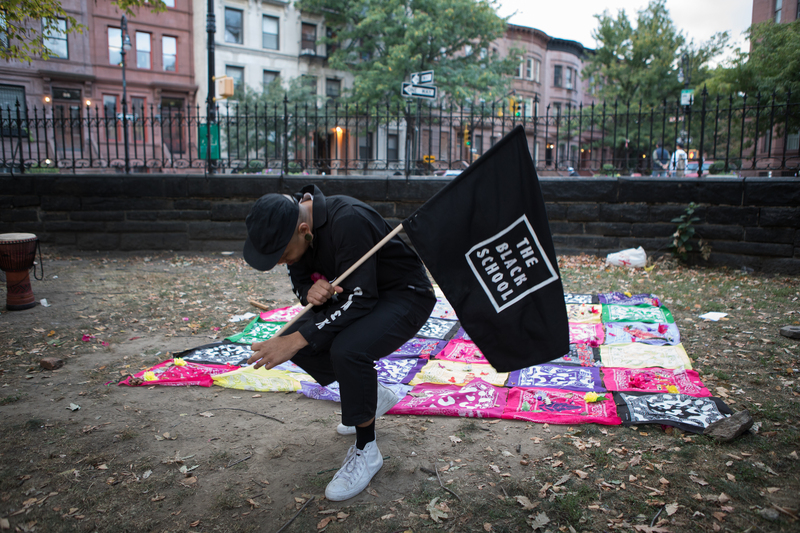 Cuillier will be a 2018 artist-in-residence and exhibitor at the New Museum and is a 2016-2017 recipient of the A Blade Grass Fellowship for Socially Engaged Art, supporting his project: The Black School. He has exhibited artwork and projects at Columbia University, The Center for Book Arts, BronxArtSpace, University of Virginia, Naropa University, Pioneer Works, MoCADA, and NY Art Book Fair at MoMa PS1.